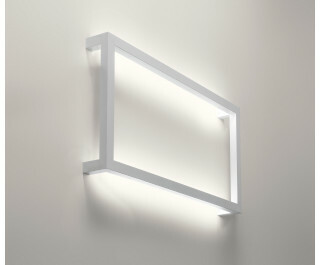 Collection consisting of ceiling or wall lamps and suspended lamps in white aluminium. Available in several sizes. The ceiling/wall lamps are also supplied in three different heights. Built-in LED light source.